One of the neglected Caroline Divines has been Mark Frank. In my mind his sermons are the high-water mark of preaching amongst these Divines in the seventeenth century. We quickly call to mind the sermons of Lancelot Andrewes and John Donne and the poetry of George Herbert and Richard Crashaw, who are all quoted in abundance and rightly so; but somehow this very holy and humble priest who suffered great hardship during the Interregnum has been overlooked. 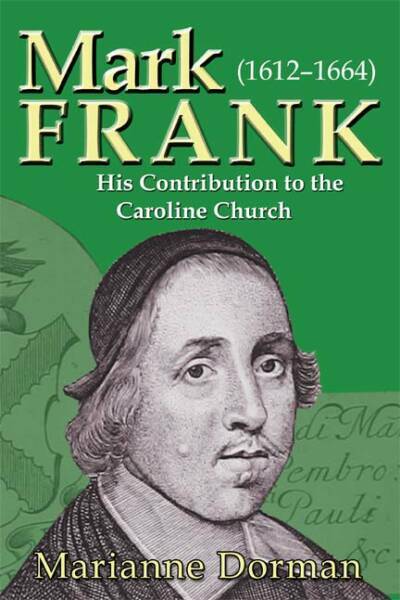 At a time when the faith of old is sometimes difficult to experience in the English Church, Mark Frank is an example to us of loving perseverance in the faith he cherished despite its persecution during the Cromwellian regime. Codrington Library, All Souls Collge, Oxford. The last of the Caroline Divine Preachers. His sermons are a delight to read and ponder on. His best years of life were spent during the Interregnum after he had been sequestered from his fellowship at Pembroke College, Cambridge in 1643. He faced a life of hardship, but somehow he managed to preach during this time, for which we are thankful, but we do not know where. Of all the Caroline Divines he expressed the most devotion and honour to Mary, Theotokos. She was immaculate and pure. Nevertheless we must not give to her the honour that is not hers. She too needs her Son as mediator. Thy poverty, O sweet Jesu, will be my patrimony, thy weakness my strength, thy rags my riches, thy manger my kingdom; all the dainties of the world, but chaff to me in comparison of thee; and all the room in the world, no room to that, wheresoever it is, that thou vouchsafest to be. Heaven it is wheresoever thou stayest or abidest; and I shall change all the house and wealth I have for thy rags and manger. O blessed Jesu, how little hast thou made thyself for us! - of how little value! How can we sufficiently value thee, for thy thus undervaluing thyself! And why should we now, my beloved, so overvalue ourselves as to think no honour sufficient for us, nothing too good for us, no riches enough, no respect answerable to our deserts? We embrace where we love, we take into our arms whom we love; so that love Jesus and embrace Jesus - love Jesus and take Jesus - love Jesus and take him into our hands, and into our arms, and into our mouths, and into our hearts. There wants nothing now, O blessed Spirit, to go on and finish, but that thou shouldst come and order all our thoughts and spirits, that we may humbly receive the sound of thy holy word; that I, thy servant, may have utterance, this thy people give thee audience, all of us obedience, and all our hearts and tongues be so thoroughly heated with thy holy fire, that they may be filled with thy praise and honour all the day long! Darkness cannot cover me, thick darkness cannot hide me, night itself cannot conceal me from thee, O thou divine Spirit! Oh keep me, therefore, that I may do nothing that may make me ashamed and hide myself, seeing thy eyes will quickly pierce into me! Frank was very much influenced by Lancelot Andrewes who had been Master at Pembroke College, Cambridge a few years before Frank's birth but of course his legacy lived on. It is obvious from his sermons how much he was influenced by Andrewes.